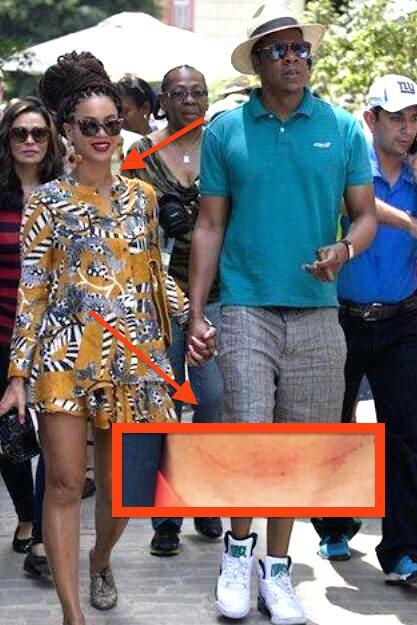 Beyonce In The Process Of REMOVING Jay Z Tattoo! Now this is telling! Beyonce is undergoing laser treatments to remove a tattoo that both her and Jay Z got on their finger memorializing their union as man and woman! Oh come on now! This is getting plain silly! Jay Z and Solange Knowles were spotted together at a high-end NYC jewelry store..
TMZ is reporting that the store confirmed Jay and Solange were in “Mr. Flawless,” looking at women’s jewelry for around 20 minutes. 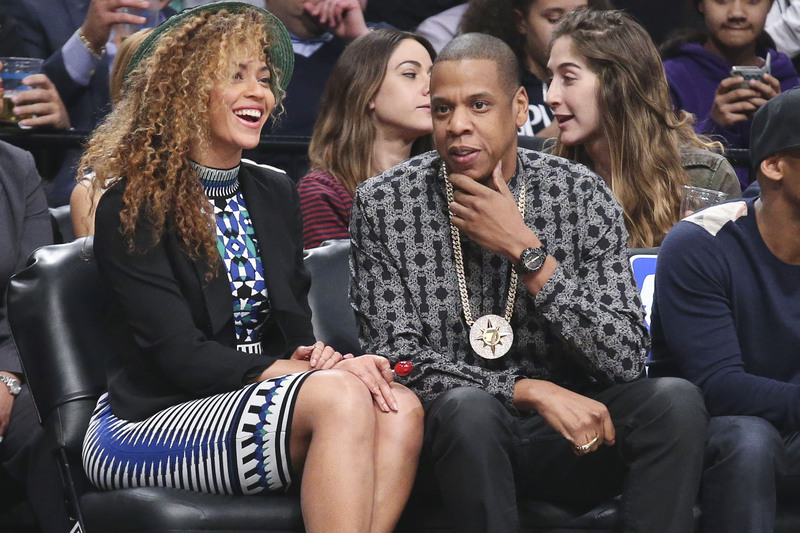 Jay Z and Beyonce are showing a united front amid an embarrassing video was released showing a fight between Beyonce’s sister and Jay Z, showing up at tonight’s Brooklyn Nets playoff game. 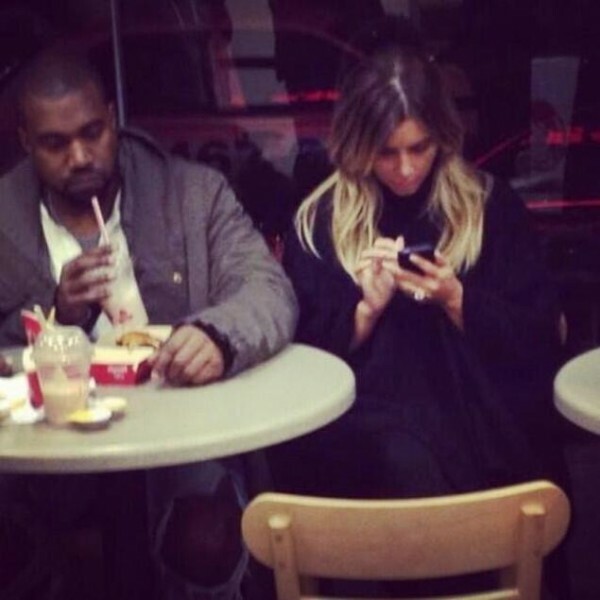 For tonight, everything appears to be cool with the super couple. 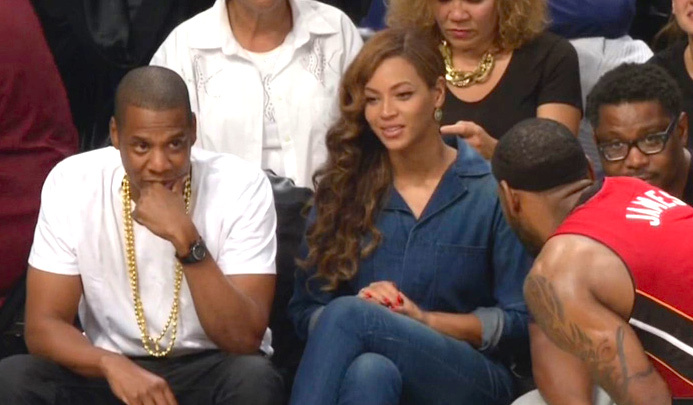 The couple was spotted sitting courtside TOGETHER at the Brooklyn Nets playoff game in NYC tonight … clearly sending a message they’re still on the same team after the big elevator fight with B’s sister. Rapper Jay-Z was mercilessly attacked by Beyoncé’s own sister and the whole incident was caught on an elevator security cam. 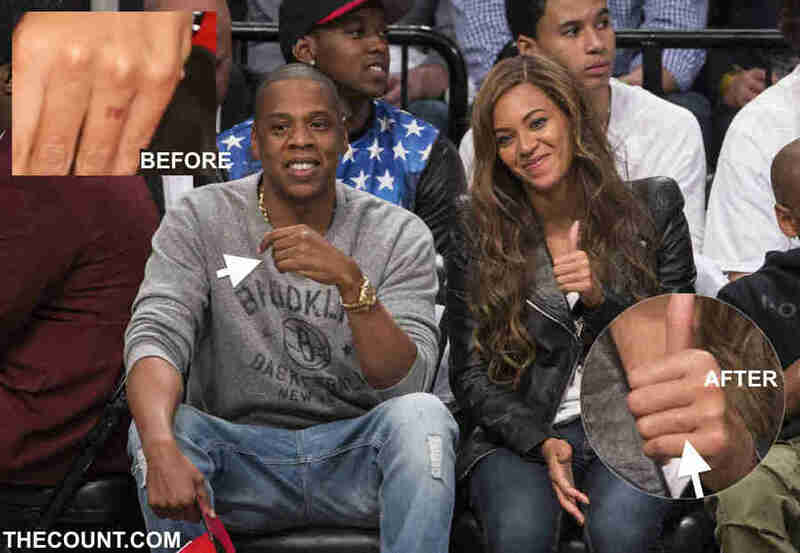 UPDATED FULL VIDEO: Beyonce Sister ATTACKS JAY Z Caught On Video! Beyonce’s sister Solange, is seen entering an elevator with Jay-Z when suddenly she turns towards him and starts hurling punches and kicks. According to TMZ, it all went down at a Met Gala after party last week at the Standard Hotel in NYC. 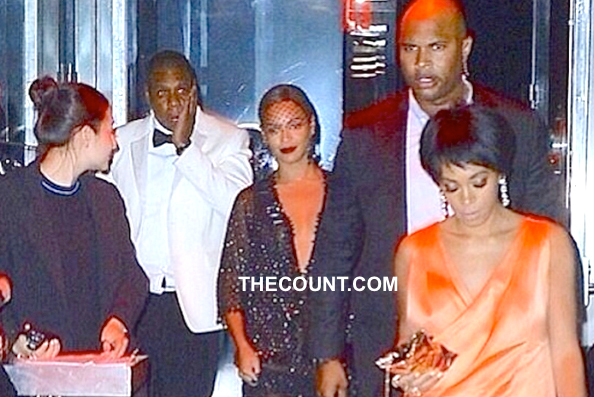 In the video … Jay Z, Beyonce and Solange step into the elevator … and then Solange goes crazy, screaming at Jay before unleashing a violent attack. 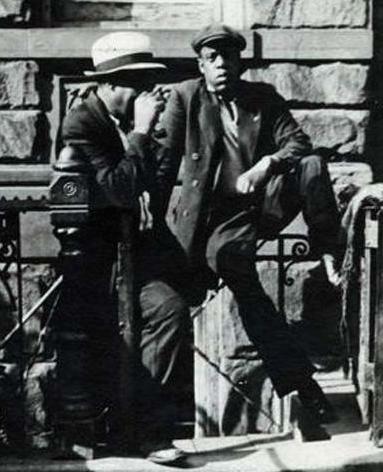 Jay Z REAL AGE Revealed By Radio Host: He Ain’t 44! He’s Really..
Beyonce and Jay Z’s real age has been exposed by radio show host, Troi Torain! He claims the couple has been lying all along about their real age. Torain claims Jay Z, listed as 44, is actually 50 and he knows this because they’re “age mates”. “I shouldn’t blow this up, maybe because he doesn’t promote it publicly, but Jay Z and I are the same age,” he told a caller on his radio show Star: Live and Direct.